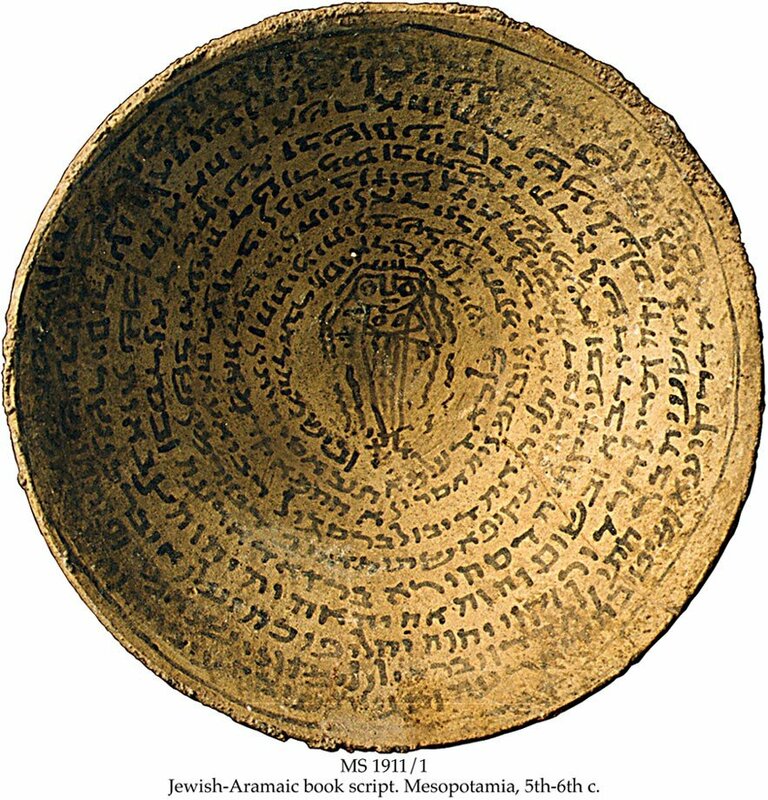 Description	 MS in Hebrew (texts 1-2) and Jewish-Aramaic (text 3) on clay, Near East, 5th-7th c., 1 incantation bowl, 17,0x6,5 cm, 10 lines in Jewish-Aramaic script, drawing of the demon Lilith with her hands and feet bound. 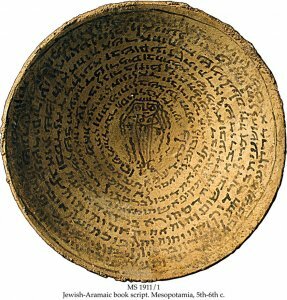 Text 1, Exodus 3:14 - 15, quoting the Hebrew Bible is among the earliest known, only preceded by the Dead Sea Scrolls, 4QGen-Exoda and 4QExodb. Text 2, Isaiah 40:31; 60:11, quoting the Hebrew Bible is among the earliest known, only preceded by the 2 Dead Sea Scrolls, 1QIsaA and 1QIsaB, from ca. 100 BC. Incantation or magical bowls are also called demon traps. They were placed with the bottom up under the floors and thresholds of the houses in the Near East. The demons were then believed to be trapped inside the bowl with the magical spells written against them. The drawing of the demon Lilith with her hands and feet bound, her breasts bare and her hair undone, shows her as a promiscuous adulteress, who is stripped naked and cast out of the house. This picture accords well with Lilith's role as a succubus, who has sexual relations with men at night in order to propagate a new generation of demons. Exhibited	 XVI Congress of the International Organization for the study of the Old Testament. Faculty of Law Library, University of Oslo, 29 July - 7 August 1998; 2. The Warburg Institute: A Special exhibition on the occasion of the workshop "Officina Magica", London 15 - 17 1999.